k2, our pedagogical platform, offers you the opportunity to build learning spaces orchestrating content and activities in a scripted frame. You will find guides to familiarize you with its main features in the “Help-k2 area” (accessible to teachers from the first login). Also note that training sessions are regularly organized through virtual classes. Registrations taking place on this same space. 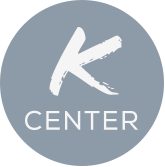 If the slots are not suitable, the Kcenter also offers "OneToOne" trainings on demand.